We won’t know the toll of Hurricane Matthew for days or even weeks, but we do know that it will be much higher than it would have been if the country had healthy forests, and that an economy of desperation is driving deforestation there. Environmental markets have managed to save and restore forests around the world, but can that approach work in Haiti? NOTE: This story has been amended after readers pointed out the deforestation rate in Haiti has been drastically overstated. We initially included the commonly-cited figure of 98% deforestation, but Haiti’s forest cover is roughly 30%, about the same as Ireland. 4 October 2016 | As Hurricane Matthew grinds across Haiti, triggering mudslides, cutting through gullies, destroying anemic vegetation and possibly washing deadly strains of cholera and sewage into rivers where people wash and drink. This Caribbean island nation has been lost much of its forest, and many trees planted by an endless litany of well-intentioned charitable organizations are chopped for firewood. It’s a universal problem, but one that reveals itself most tragically in island nations; but there are solutions. Clothing company Timberland, for example, is working with the Smallholder Farmers Alliance (SFA) to promote agroforestry, which essentially blends trees with cash crops to revive soils. The Alliance for Clean Cookstoves is beginning to explore options for using carbon finance to fund the distribution of clean-burning cookstoves, as is CQuestCapital. But hurdles run high as corruption and poverty contribute to a spiral of despair. Haitians, hungry and cold, are direct in their assessment. Forget about trees’ long-term potential, they tell aid workers. To eat tonight we need to burn wood today. Tree roots grip nutrient-rich topsoil, holding it in place during heavy rains and prevent mudslides and flooding, said Ethan Budiansky, who oversaw the nonprofit Trees for the Future’s tree planting endeavor in Haiti and now runs the Cocoa Livelihoods Program’s climate-smart cocoa program, in a 2010 interview with Ecosystem Marketplace. In Haiti, subsistence farmers make up nearly 75 percent of the population, and they watch helplessly as terraced land they tilled on this mountainous terrain washes away. Nearly 15,000 acres of Haiti’s topsoil washes away each year, Budiansky said, five times the size of the principality of Monaco. Farmers whose earnings average less than two dollars a day are often left with little more than dust and rocks to till. Agroforestry, however, helps bolster those terraces because farmers plant trees on them. “Desertification,” a word that basically means turning lush land into desert, has taken hold of much of Haiti’s interior, said Norman Christensen, the founding dean of the Nicholas School of the Environment and Earth Studies at Duke University and a frequent volunteer in Haiti, in a 2010 interview with Ecosystem Marketplace. Trees that used to recycle moisture and replenish the atmosphere are no longer there to promote gentle rains that nourish vegetation. 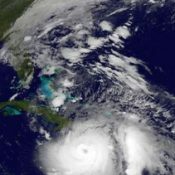 This leaves dry, dusty land at the mercy of hurricanes whose intensity and frequency has increased, scientists say, due to climate change. To change these odds, nonprofit organizations such as Trees for the Future have teamed up with local groups to find solutions that serve Haitians immediate and long-term needs. Since 2012, they have planted more than a million trees such as the fast-growing leucaena that, similar to many shrubs, grow even bigger after getting pruned back for firewood and other uses. And they are nourishing what Budiansky dubs a “miracle tree,” the moringa, whose leaves hold massive amounts of Vitamin C, calcium and protein, can be cooked like spinach and can be harvested six months after the trees are planted. Many businesses in Haiti already have clear incentives pushing them to find ways to promote forest cover. Digicel, for example, the leading mobile phone operator in Haiti, experiences firsthand how Haiti’s lack of forest cover hurts its bottom line. Roads to their cell towers wash away every year; they must be repaired for business to proceed. Digicel responded by sponsoring its own foundation that promotes tree cover and provides educational and social services to the Haitian people. Similarly, hydroelectric companies are investing in forest cover in the highlands to promote clean water in the lowlands. Steve Zwick is Managing Editor of Ecosystem Marketplace. He can be reached at szwick@ecosystemmarketplace.com. Alice Kenny is a prize-winning environmental news writer and a contributor to Ecosystem Marketplace. Sad that the people there in Haiti cannot understand the significance of the trees and their survival. Only the survival of the day is in their minds. ← Can US States, The Private Sector, And The International Community Fix The Climate Despite Trump Election?